SOUTH Fly MP Aide Ganasi says he had no part in the Government’s decision to take over Ok Tedi Mining Ltd (OTML) in 2013, despite being a member of Prime Minister Peter O’Neill’s People’s National Congress. He told the PNG Sustainable Development Program’s annual results meeting in Port Moresby yesterday that he was ousted in a decision by the National Court in February 2013 and spent most of that year out of the political arena before being reinstated. 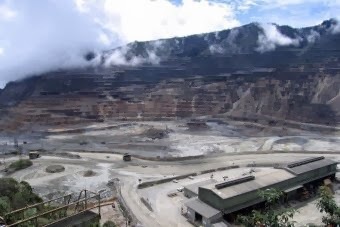 The State expropriated PNGSDP’s 63.4 per cent shareholding in OTML through the 10th Supplemental Agreement Act that year. Ganasi claimed leadership for Western during that time was provided by Governor Ati Wobiro with “very little contribution from the open members”. “When this case was warning up, I never said anything on this issue because I was not in the picture about what the issue was all about,” he said. Ganasi said he respected chairman Sir Mekere Morauta’s leadership and control of the PNGSDP. “Sir Mek, you know everything,” he said.